Beth got to meet her soccer hero (not me) and talk about her bird hero all in the same week. We covered philosophy, poetry and stupidity this week on the Lite 98.7 morning show. It's not often you get a chance to roast PETA and deliver a song request for an animal. Our benchmark segments 'Your Momma Must So Proud' and 'The Kinda Hard Question' were very productive this week. There's something very alluring about the idea of women fighting over catsup packets. Movies, Reddit, Cosmo magazine, coffee consumption...anything but politics this week on the show. Disoriented morons and famous celebrities played prominent roles in our on-air fun this week. You may run into some of the same pitfalls we faced with your office Halloween costume. Would you utilize SpouseFax to check up on your other half? 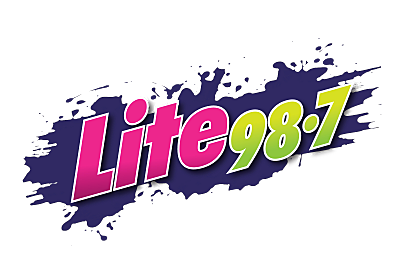 Hand sanitizer, hockey rules and bad eBay ideas also factored into the Lite 98.7 morning show this week. This week's conclusions: you can drop pounds with this one easy move at home and people are stupid. The 'Beyonce is a witch' story was polarizing on our show.